The Scottish Cup is the oldest football competition in the world. Hampden Park has been the venue for the majority of the Scottish Cup finals, including the very first in 1873. It also holds numerous attendance records such as Europe’s highest ever attendance which was recorded in 1937 when the final between Aberdeen and Celtic was played in front 147,365 spectators. Nowadays, Hampden Park’s attendance is only 52,000 but for a competiton bestowed with such history and prestige, the allure of the Scottish Cup remains the same. Every team dreams of reaching the final and winning the cup. The glamour of the destination and the magnitude of the iconic prize serves as the motivation for the journey, which for some of the 90 Scottish teams began on August 15th, for others October 24th and for Scottish Premiership teams begins on January 9th. It may seem that the end of the aforementioned journey and the Scottish Cup final is all that matters, but for the dozens of non-league clubs who are invited to participate in the competition the magic of the Scottish Cup comes in the early rounds. On Saturday, I went to watch two non-league teams who were at the beginning of that journey. Two teams for whom Hampden Park would seem an unimaginable destination, but it very much still remains there, on the horizon, motivating them to dream of the impossible. Edinburgh City versus Buckie Thistle. Lowland League versus Highland League. 1st from one league versus 9th in the other. Buckie had already started their journey in the first round of the cup and a 7-0 win over fellow highlanders Rothes set them up with City, who, as champions of the Lowland League, had a bye into round 2. Buckie had already completed one part of their journey, this time a physical journey rather than a metaphorical one, by the time I had arrived at Meadowbank Stadium, the athletics ground which hosted the 1970 and 1986 Commonwealth Games where Edinburgh City play their home games. 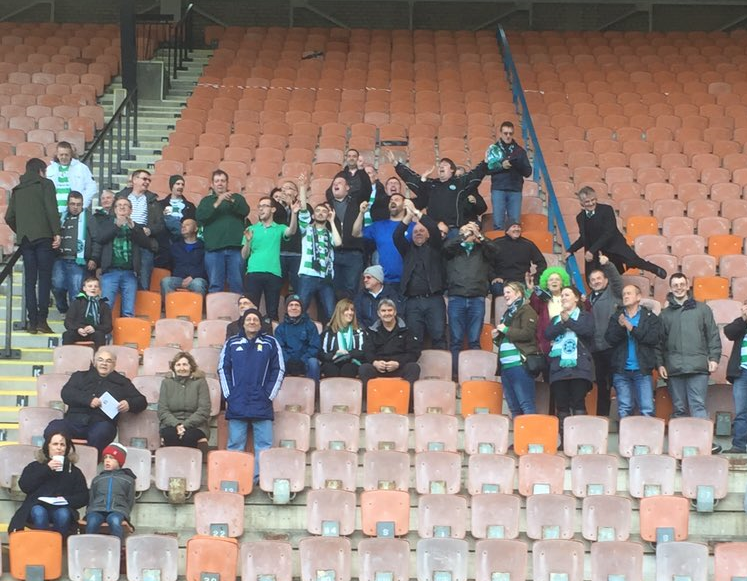 Buckie’s players and fans had made the 5 hour journey from Moray earlier that morning, but were clearly in good spirits. Extremely good spirits. After attending City’s last home game, a 1-0 win over local rivals Edinburgh Spartans, which took place on Non-League day, I didn’t really know what to expect. Encouraged by the reduced prices for Non-League day, there was a decent crowd at the derby two weeks ago but the atmosphere was rather lost in Meadowbank’s vast 7,000 capacity grandstand but I didn’t know if the atmosphere at Saturday’s game would be any different. I heard signing from the second I entered the stadium and the noise from the Buckie fans lasted the entire game, urging their team on with waves and waves of chanting. You could tell who they supported too. Almost every fan wore a replica green and white striped shirt or scarf. They looked the part and they acted like it too. Their team started the better, going close with headers on a couple of occasions and generally dominating the game, but City took the lead against the run of play in the 35th minute. A corner from the left hand side was met by defender Chris McKee and the Buckie fans were briefly silenced by the home support who had, finally, found their voice. Things went from bad to worse for the Highlanders only minutes later when a red card was shown to Buckie midfielder Jay Cheyne. The incident happened on the far side of the pitch from the Meadowbank grandstand and it was it was unclear why the red card was shown, in fact the Buckie fans didn’t even realise until they noticed Cheyne walking off the pitch, then the rumour spread around; violent conduct. Down to 10 men, a goal down, Hampden disappearing beyond the horizon, the prospect of a wasted 400 mile round journey. It was looking increasingly unlikely that Buckie were going to get a result. Just before the end of the first half City had a golden chance to make it 2-0 but wasted it, in the end Buckie were fortunate to get into the break only trailing by one. As the teams came out after the interval Buckie’s captained roared at the travelling support, wildly gesturing with his arms to raise the noise. Buckie defended resolutely from the off, their midfielders worked tirelessly and they kept City at bay and denied them even a chance of goal. City grew frustrated as they failed to capitalise on their numerical advantage and slowly but surely Buckie came into the game. They only needed a chance and by the 72nd minute they got one. Again, the goal came from a corner from the left, the initial ball in wasn’t cleared and the second ball in was met by defender Ian McRae. Cue an explosion of noise from the traveling contingent celebrating with their green and white scarves raised in the air. 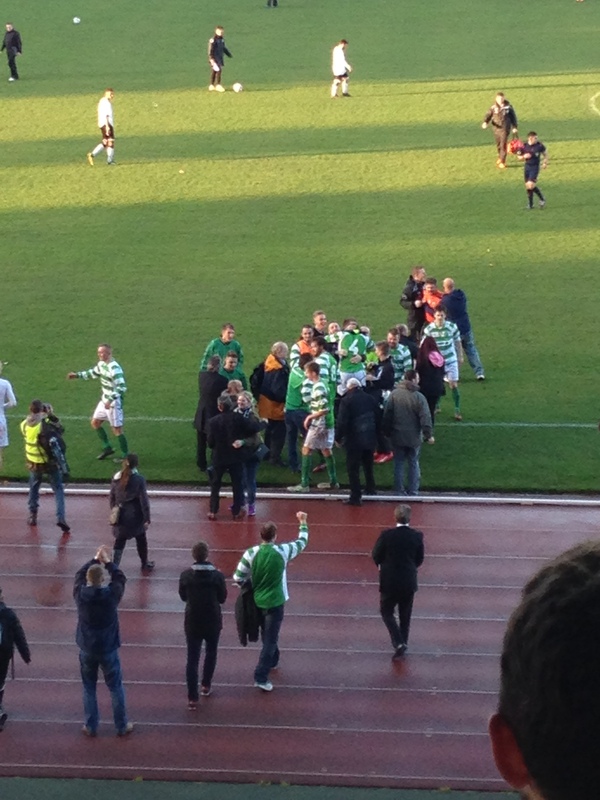 The players made a point in running over to the Buckie fans, the team and the support were together as one. City were suddenly on the ropes. Buckie were streaming forward and they had all the momentum. With almost 10 minutes to go a long ball was played over the top, attacker Christopher Angus reached the pass ahead of the closest defender and deftly raised the ball over the goalkeepers’ head and into the net. Pandemonium. Players and fans alike celebrated as if they’d won the cup. Grown men stood, mouths open, hands on their heads, in disbelief. Remember, this was 10 men Buckie, a mid table Highland League side, coming from behind to lead City, leaders and Champions of the Lowland League. City desperately searched for the goal that would force a replay but nothing would come. They had been so flat for so long that it was impossible to suddenly play with any intensity. Corners came and gone and mostly their play petered out to nothing. Buckie stood strong and held on for an incredible win. At the final whistle, the Buckie players and fans came together by the touchline, along with the chairman, officials and friends and family. It was great to see. The sheer joy on the faces of everyone associated with Buckie was obvious as they all came together in a close huddle. Although this is impossible – Rangers don’t enter the competition until the fourth round – the sentiment remains. 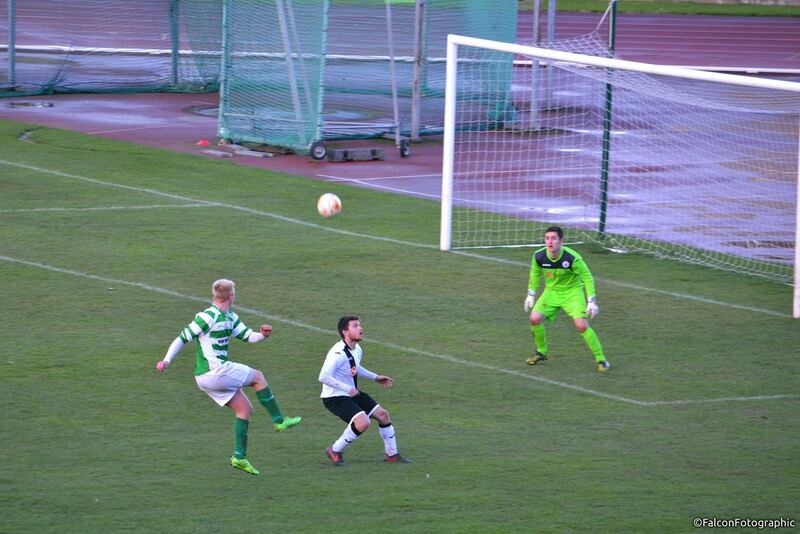 Buckie are still in the Scottish Cup, the dream is still alive. 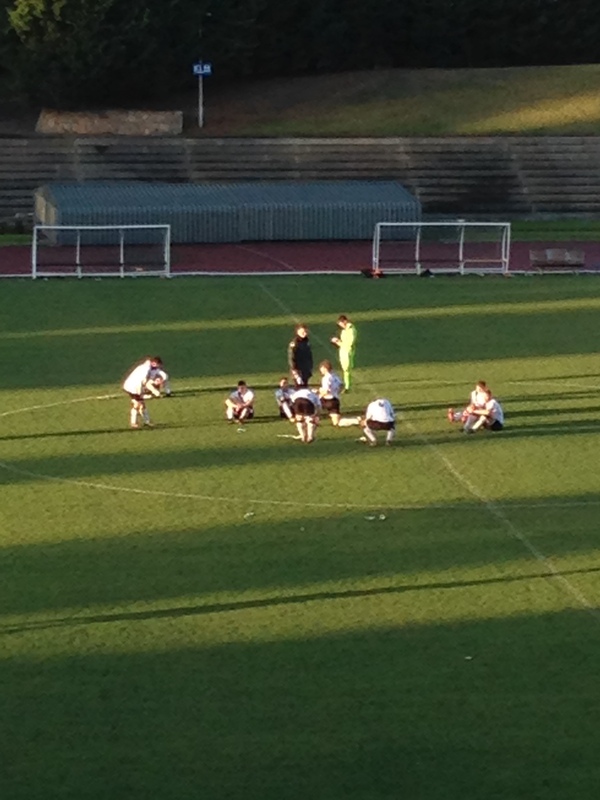 On the other hand with every victory comes a defeat, the City players sat dejected in the centre circle. The home fans had already left and they sat alone, watching the celebrations in silent envy. It wasn’t their year and the dream is now dead. Their dream may be dead but the spirit of the cup is bursting with life. I left Meadowbank with a huge smile upon my face and my faith in the cup renewed. Buckie won’t win the cup this year, even the most optimistic man in Buckie would admit that, but perhaps I have witnessed the start of a miraculous journey.